Are anxieties, allergies, or health complications keeping you or a loved one from achieving the perfect smile? Here at Center for Dental Anesthesia in Alexandria, we place a special emphasis on unique patients who need expert sedation dentistry to achieve their best smile. You probably already know that visiting your dentist is essential to prevent tooth loss, gum disease, and whole body health consequences. Maybe you have already tried oral conscious or laughing gas sedation, but without success. If you’re tired of the discomfort or difficulty associated with dental anxiety, you need to find a few dental sedation professionals you can trust. Dr. Zeyad Mady and his entire staff have undergone advanced sedation training to be certified to the highest level of dental anesthesia assistance. We are the only office in the Northern Virginia area to provide hospital grade anesthesia for the ultimate patient experience. After oral conscious sedation and laughing gas, the next step towards a happy dental sedation experience is IV sedation. IV sedation, or “twilight sleep,” helps our patients feel comfortable and calm during their dental procedures. IV sedation will make your procedure pass quickly in your mind, while producing minor memory loss so that you will not recall the details of your procedure. General anesthesia allows a patient to lose consciousness so that they cannot feel or see anything going on throughout their procedure. 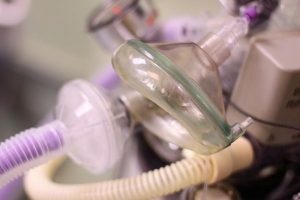 We will provide a breathing mask and careful monitoring programs for patients who select general anesthesia. Using general anesthesia, patients become fully asleep, and they can wake up with a gorgeous and healthy smile. Here at the Center for Dental Anesthesia in Alexandria, we believe that you should be able to Wake Up With a Smile. It is possible to have a peaceful and pain-free dental procedure when you have qualified sedation dentists on your side. If you or a loved one suffers from dental phobia, mental health complications, disabilities, or allergies, come see us for unparalleled dental sedation. Children, adolescents, and adults in the Alexandria, Arlington, and Northern Virginia areas can come to us for quality dental sedation. Contact us today to schedule your no-commitment consultation with Dr. Zeyad Mady, DDS.